Alvin Charles Morris of Lot 32, Concession 2, West Zorra Township, joined the Oxford Rifles and trained in Woodstock and London. 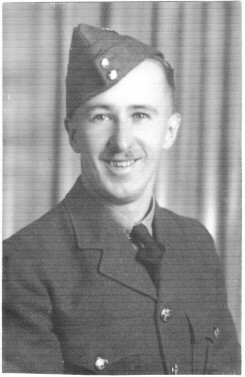 Then he joined the Royal Canadian Air Force and trained in Galt and St. Thomas as an aircraft mechanic. He served with the Royal Canadian Air Force from September 1941 to 1945. Aboard the Queen Elizabeth, he sailed from New York to Scotland with 15,000 other troops. In England he trained briefly with 401 Fighter Squadron and was dispatched to the front lines. At Normandy he cleared mines so Allied planes could land safely. He also served in Belgium before coming home to help with the farm because his father was ill. He and his wife Jean Hesse (1924-1999) moved to part Lot 33 Concession 11 in 1977.